WaldaBlog: A Scary Birthday Celebration! 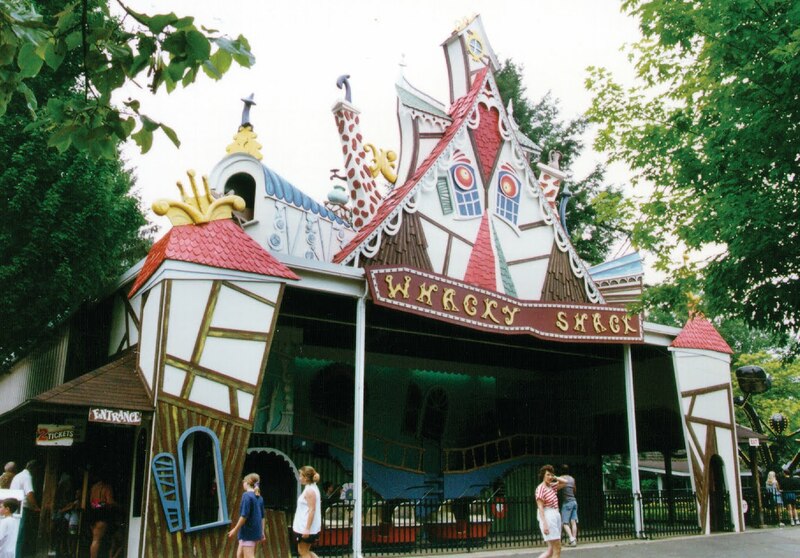 It was the Whacky Shack's 40th on Monday the 24th! To celebrate, DAFE, Darkride And Funhouse Enthusiasts, came out from all over the country on Saturday in commemoration of Bill Tracy's incredible design as well as Perry Duncan, the man who built and maintains the ride to this day. They kicked off their day with Extra Riding Time, ERT, and walkthrough tours of both Tracy Rides, the Pirate's Cove as well as the Whacky Shack. They enjoyed a "whacky" cake and presented Mr. Duncan as well as Waldameer with wonderful plaques to show their appreciation for everyone who keeps the Whacky Shack operating. Although the day was overcast and rainy, (very fitting weather for a darkride's 40th birthday) all who came to enjoy the festivities kept smiles on their faces the entire day. To top it all off, DAFE enjoyed ERT on the Ravine Flyer II! The enthusiasm for the ride was amazing and it seems it will not die down anytime soon. As long as the Whacky Shack reminds riders to "keep their arms and legs inside the ride" and threatens to take misbehaver's wristbands "with their arm still attached", DAFE and all other riders will continue to enjoy the mystery of Waldameer's Whacky Shack. From the long period of time i am waiting for such a nice post . Thanks for this nice post i have bookmarked this blog .